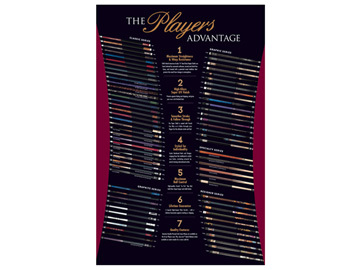 22" x 34" Players Poster — a Great Selling Tool. 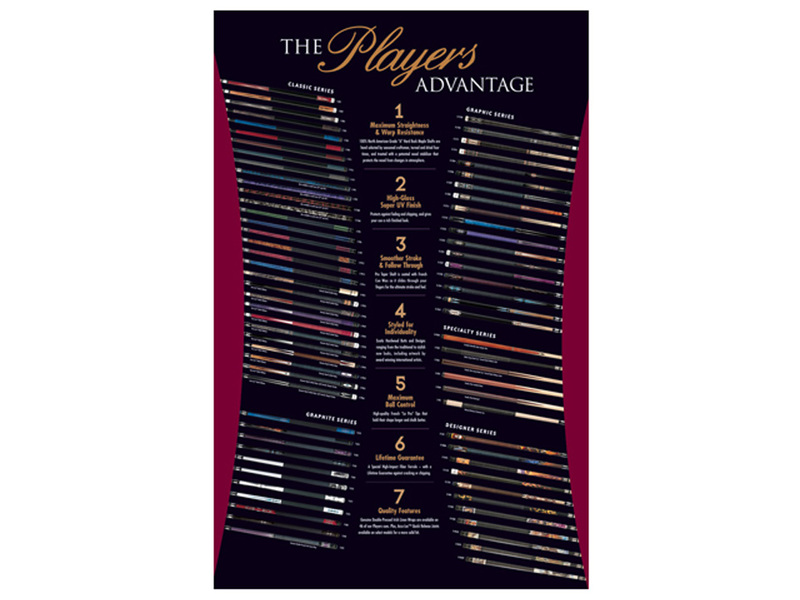 This poster features every cue in the Players line. It's a teriffic sales tool that will help your customers find the right Players cue for them.